The days are getting longer, temperatures are starting to improve, and thankfully, Punxsutawney Phil did not see his shadow this year. 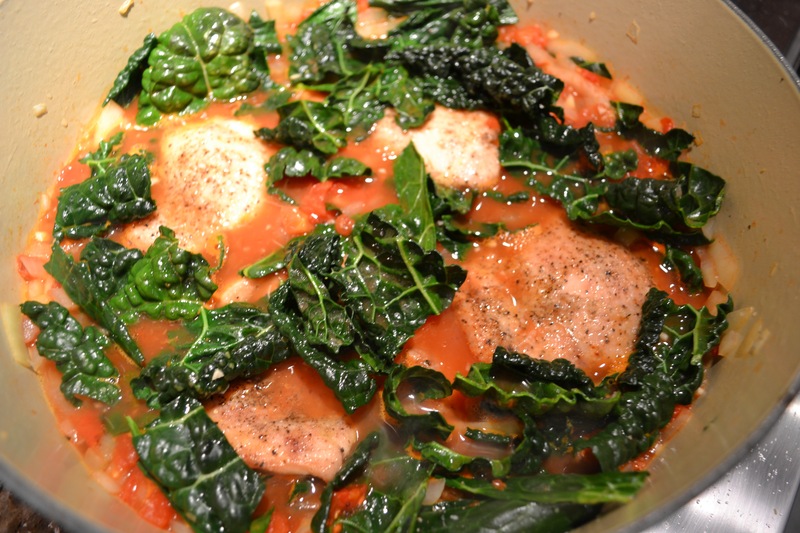 Changing weather leads to changing food and wine preferences, and here at the Taylored Wines Test Kitchen, we are lightening up our evenings with recipes like our take on this Braised Kale Chicken from CookingLight. 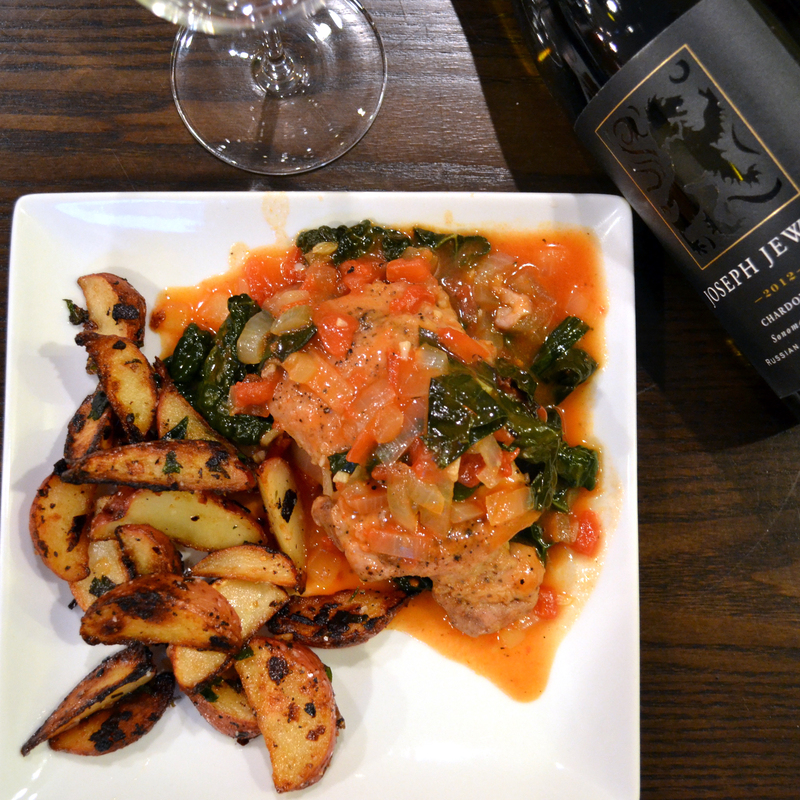 We found the Joseph Jewell 2012 Shiloh Hill Chardonnay to be an excellent pairing, with the rich and creamy texture holding up to the sauce created in the dutch oven, and the flavor profile pairing exceptionally well with the tender chicken. 1. Heat a Dutch oven over medium-high heat. Add 2 teaspoons canola oil. Sprinkle the chicken with black pepper and 1/4 teaspoon salt. Place flour in a dish, and dredge chicken. 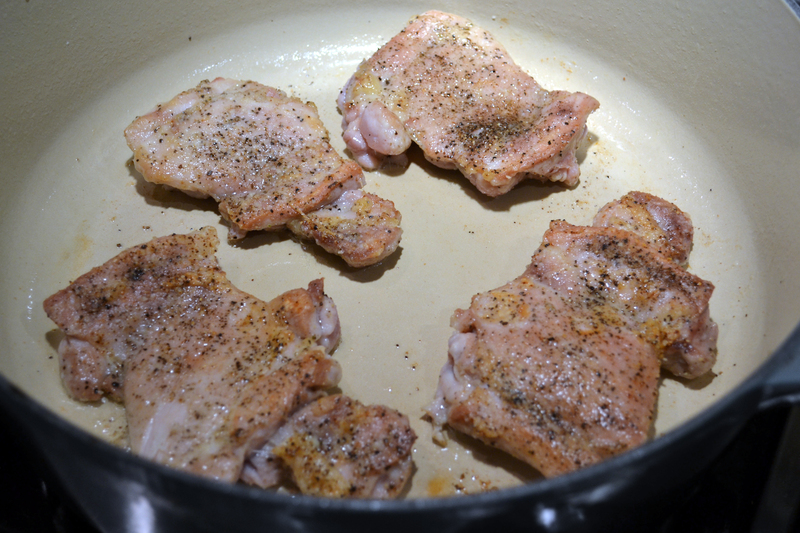 Place 2 leg quarters in pan, and cook for 1 1/2 minutes on each side. Remove from pan. Repeat procedure with 2 teaspoons oil and remaining 2 leg quarters. Remove from pan. 2. Add remaining 2 teaspoons oil to pan. Add garlic; cook for 20 seconds. Add half of kale; cook for 2 minutes. Add remaining half of kale; cook 3 minutes. Stir in tomatoes and broth; bring to a boil. Return chicken to pan. Cover and cook for 1 hour and 15 minutes. Remove chicken from pan; stir in vinegar. Serve chicken over kale mixture with a delicious, chilled Chardonnay. We will work on our photography skills next week, cheers!